I am having a great time being at home and taking good care of myself. Eating just two meals a day, breakfast and lunches of protein and vegetables only, I have lost more than five pounds slowly. My left knee and my right shoulder are both improving a lot. I spent yesterday meditating and doing breathing exercises and taking a nice easy 2/3 mile swim. I enjoyed a short nap, a 44 minute ice bath, and answered another zillion e-mails. All that followed by another good night’s sleep. This blog post, the 293rd in a row, was published just after 7:30am from my home in Indian Lake Estates, FL. Thanks a stack to the 20 folks who pre-ordered their EOS 7D Mark II bodies (and lots of accessories) using a BAA affiliate link. If you missed all of yesterday’s excitement, click here. And best of luck to Geoffrey Cuff of the Cayman Islands with the Canon EF 400mm f/4 DO IS II USM Lens that he ordered in similar fashion. Bob Bass is offering a used Canon 400mm EF f/5.6 L IS UMS in excellent condition for $999. The sale includes the original box, the tough fabric case, the front and rear lens caps, the instruction CD, and insured shipping via UPS Ground to US addresses only. Your new gear will be shipped only after your check clears unless other arrangements are made. You can contact Bob via e-mail or by phone at 781-275-5230 EST. Original owner. The lens was purchased in 2012 and used infrequently. It was recently returned from Canon Professional Services where it received a clean and checked. Images of the lens are available upon request as are images made with the lens. If you type the words “Canon EOS-7D Mark II” into a Google search box it finds about 4,130,000 results in 1/3 of once second. And I have a very slow internet connection. I have spent the last three days reading each and every one of the more than four million articles and watching hundreds of 7D II videos. Actually not. But I have been doing lots of surfing, lots of reading, and watched more than a few videos from either trusted or interesting sources. Below, each under a separate heading, I share just a fraction of what I have learned about this new camera. Rudy Winston been with Canon USA’s Pro Products team for more than 17 years. He has been responsible for training Canon’s staff on new products, creating presentations for customers and dealers, numerous writing projects, and providing technical assistance to professional and amateur photographers including yours truly. Often. Currently, he’s a key figure in Canon’s Education department and contributes many on-line articles to Canon USA’s Digital Learning Center. Best of all he is a hell of a nice guy. Rudy’s latest article is entitled “New Intelligent Viewfinder feature on EOS-7D Mark II.” You can read the whole thing here. I did, and here are my highlights. Canon has packed a ton of potential info into the viewfinder via a clear, transmissive LCD overlay above the focusing screen. You can customize your 7D II so that it shows every feature–warning, it will be crowded in there. Or, you can customize it to show nothing. You choice. I was most excited to learn that you can turn on the new Viewfinder Electronic Level so that it is displayed in the camera’s viewfinder. It is in addition to and completely independent of the level display that can be programmed to appear on the large, rear LCD monitor. The one in the viewfinder is a dual-axis Electronic Level that shows any tilt (in 1-degree increments) from side-to-side, as well as up-and-down. It will be a dream feature for those like me who do lots of hand held scenic photography with wide angle or fish eye lenses. You can opt to see a ton of shooting information across the bottom of the viewfinder if you choose. These are included, each with independent on/off control: Exposure Mode, White Balance, Drive, AF setting (One-Shot AF/AI Focus AF/AI Servo AF), Metering mode, Image quality (RAW or JPEG), and the Flicker! icon. And there are about a zillion options for displaying a great variety of AF info. The Flicker icon? This is an amazing feature for those who photograph indoors or in other locations where unseen to the human eye, the lighting flicker or pulses thus causing mega-exposure problems for those who work in Manual exposure mode. Rudy explains the new Anti-Flicker technology in quite succinctly in a different article here. There’s more extensive information in the EOS 7D Mark II viewfinder than any previous Canon EOS digital SLR but, again, the cool thing is you can display as much or as little as you like. With as sophisticated an AF system as this camera has, it understandably gives numerous options for how AF points (and even AF Operation Settings, One-Shot AF, AI Focus AF, and AI Servo AF) are displayed in the viewfinder. The viewfinder is the nerve center of any SLR camera and the EOS 7D Mark II provides options that make it almost like a heads-up display in a plane or automobile, figuratively speaking. As far as I can figure, this feature will simplify the RAW conversions by eliminating a somewhat time-consuming step. The EOS-7D Mark II has an amazing iSA Intelligent Subject Analysis system that employs an independent RGB light sensor with approximately 150,000-pixel resolution. This sensor enables Canon’s intelligent Tracking and Recognition system (iTR AF) that detects and tracks subjects, automatically switching the AF point to optimize tracking. With new tracking algorithms tailored to recognize faces and colors, this system serves as a brilliant foundation to the EOS 7D Mark II’s AF system. This sounds as if it might be great for photographing birds in flight or in action. The big questions are, truth or fiction? Fact or hype? The proof will eventually be in the pudding. An EOS first, the EOS 7D Mark II offers time-lapse fixed-point shooting and long exposures without the need for a remote control. The EOS 7D Mark II’s interval timer takes from 1 to 99 shots at preselected intervals, ideal for shooting flowers as they bloom or clouds drifting through the sky. Its built-in bulb timer keeps the shutter open for a designated amount of time, perfect for night photography. These two will be perfect for lazy folks like me….When the massive clouds are rolling by, it will be time lapse time. And there will be no more excuses for when it comes to trying my hand at night sky photography. Stunning full HD video with custom Movie Servo AF and multiple frame rates. While offering performance improvements across the board for still photography, the EOS 7D Mark II is also an incredibly capable HD movie camera. Taking advantage of its Dual Pixel CMOS AF capabilities, the EOS 7D Mark II has customizable Movie Servo AF options: not only can AF location be defined, AF speed and tracking intervals can be specified too, for fluid, smooth focus transitions. The EOS 7D Mark II delivers refined and detailed image quality with Full HD 60p recording at ISO values up to 16000, has an HDMI output and records to both SD and CF cards for versatility and security during important shoots. Yours truly know zip about video so I will leave reviews of the 7D II’s video capabilities to others. You can see a 3 minute, 50 second sample video here. “Cello”is the second of the five videos. It was created at ISO 3200 in a great variety of lighting conditions using a great variety of Canon EF lenses. Though I do not understand everything above, it seems pretty clear that the 7D II will offer AI servo AF with video…. That will surely tempt me. 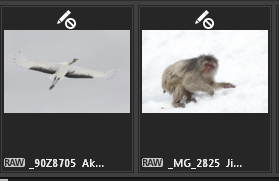 And it seems pretty clear as well that the new technology promises great improvement in the autofocus system when shooting stills of birds in flight or birds or animals in action. Again, we need to see how promised theoretical improvements pan out against reality. More Great Stuff or Hollow Promises? You can learn more about the features of the 7D IIby clicking here. In addition to those above these include the new 20.2 Megapixel CMOS (APS-C) sensor that promise gorgeous images, ten frames per second, a new mirror vibration control system, and brilliant, speedy AF tracking. I will sum things up here with two of my responses to questions left as comments on the blog. Do you plan to get a 7DII? Right now there are two chances that I might get my hands on a 7D II some time in mid- to late October or early November. If I do, and if I am permitted to share the images before the camera begins shipping, I will do so. The two biggest promised and potential 7D II improvements for bird, wildlife, and nature photographers have to do with the all new AF system and with image quality. To get a handle on those, we need to have a 7D II in our hands in the field…. I have the Canon 1D Mk IV and the updater on the Canon site only shows the latest update as DPP 3.14.15. There is no explanation about why I should not update to DPP 4. Does anyone know whether the camera is just an orphan now or if there is a reason that DDP 4 should not be used for files from the Mk IV? DPP 4.0 currently supports images from the following camera bodies: 1D X, 5D III, and 6D. Images from all other Canon digital cameras bodies including the EOS-1D Mark IV need to rely on DPP V 3 point whatever is the latest version. It is not that DPP 4 shouldn’t be used for 1D IV images. It cannot be used to convert them. You need a serial # for a 1D X, 5D III, or a 6D to download DPP 4.0, but even if a friend gives you a valid serial number a 1D IV image will show in DPP 4.0 with a symbol that leaves no doubt that the image is incompatible: a pencil (indicating “edit”) and a circle with a diagonal line through it (indicating “sorry, Jack.”) I will try to remember to include a screen capture in tomorrow’s blog post. In addition I have the current news on DPP 4.0 and the 7D II. Well, obviously I did remember :). In the screen capture above you can see the symbol that indicates that DPP 4.0 is not compatible with a given camera. Here is some disappointing news: right now indications from Japan are that DPP 4.0 will not support 7D Mark II images…. I for one am hoping that this will change at some point, the sooner the better. Thanks for all the links Art – much help! Excellent point Jim and one that’s almost always overlooked. Glad to read that your health is improving. Wish you the best. I wonder about the thought process that has a ‘new’ camera incompatible with the ‘new’ software?